NGC 7000 is also known as the North America Nebula with the so called Gulf of Mexico. In this area the Cygnus Wall can be found. 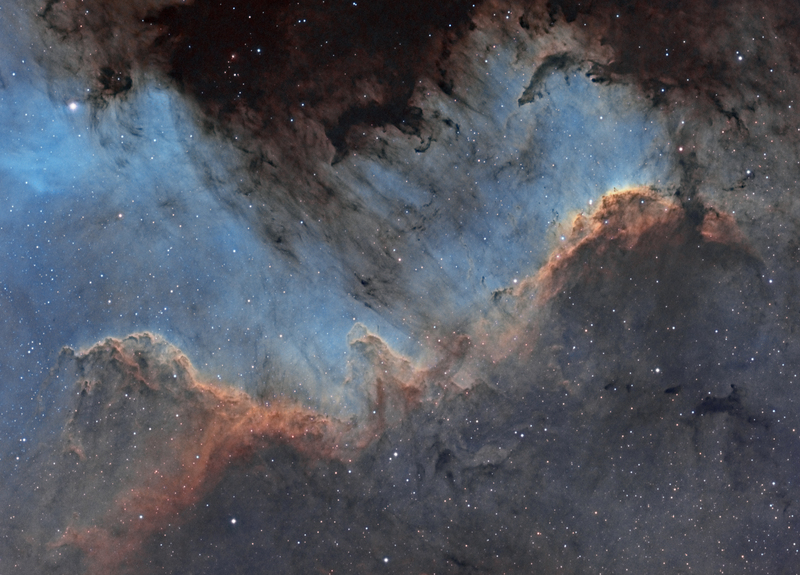 This part is the Mexican and Middle American part of the Nebula. It’s one of the most interesting parts of the nebula because this is a region of active star formation. Very near to the Wall a dark area (the Gulf of Mexico) can be seen that consist mainly of cold gas and dust, the ingredients for new stars. The wall actually is an ionization front where UV light from young stars ionize the cold hydrogen gas and make it glow in its typical red color. 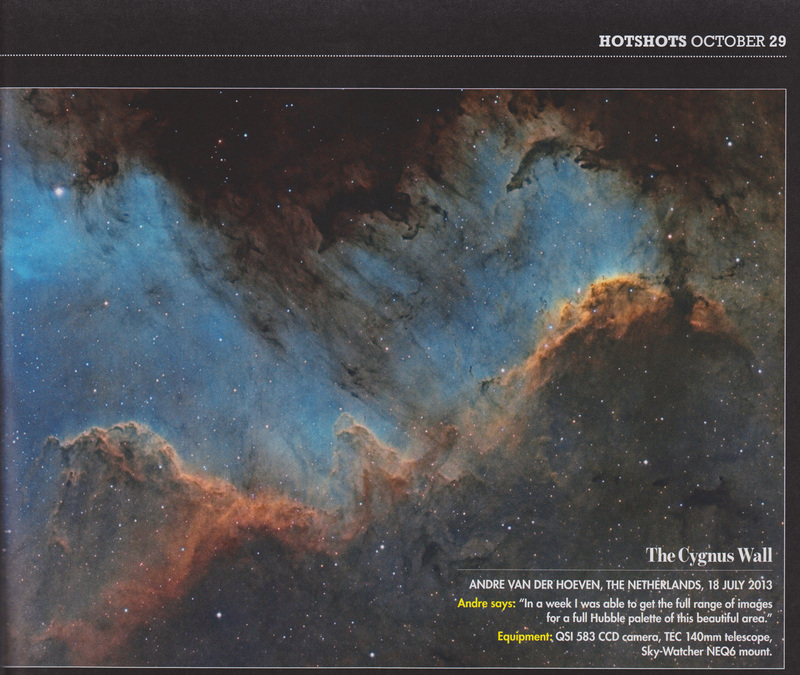 This image was featured in Sky at night magazine in October 2013.